Sterling work by Gilling groundsman John Deighton after the recent rain enabled the U12 team to start their season against Marton, a team expected to be one of the strongest in the league. The pitch inevitably had little bounce, to be expected after all that rain, which made it hard to play attacking shots. 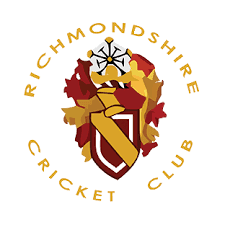 Richmondshire were put in to bat and scored 51 for the loss of 5 wickets. Only James Metcalfe managed to hit a boundary, as he swished his way to a top score of 13 not out, but all batsmen contributed runs, with plenty of singles taken to rotate the strike. Marton's openers came out with positive intent, Kennedy hitting Sam Winter's first ball for four, Sam retaliated by bowling him with his second ball and his partner with his third, but they then recovered to 24 for 2 after 4 overs. Marton's second pair only scored 3 runs off the bat, but the score progressed to 39 for 4 at the halfway mark, as wides and no balls kept the score moving. Things tightened up during Marton's third pair's time in the middle, they didn't lose any wickets, but added only 3 runs, so that by the time the last pair came in, Marton were 42 for 4, one run behind. A wicket maiden from John Clark took Richmondshire 9 runs ahead, then afer the 15th over, with the score on 50 for 5, Marton were again only one run behind. A stunning catch from John Clark off the first ball put Marton nine runs behind, then a four left them needing a six off the last ball to win, as Ted kindly announced to all of Gilling. Only a single was scored, leaving Richmondshire with a four run victory; the first time I can remember us beating a Marton junior side. (ii) Speed/alertness when running, both when batting and in the field. There were shots tonight worth two runs where only one was scored.